I attended a funeral the other day; and many of the family in mourning are not Saved. The heaviness I felt in that room was smothering. I felt such a burden on my heart for their pain and emptiness. It’s moments like these that overwhelm me with gratitude that I won’t ever have that engulfing emptiness that they were feeling. I know that no matter what loss I face, I will still never be alone. (Deuteronomy 31:6, Isaiah 41:13, Hebrews 13:5) That’s what I’m most thankful for. Jesus took all of my sin; my suffering, my pain, and in complete and total emptiness and loneliness, He made me free and saved me from the wickedness of this world. I ask that, before you enjoy your holiday meal, you give thanks to God for His Salvation, His Grace and His Mercy. And I ask that you take an extra moment to pray for those that don’t understand or know of all that He has to offer. And then open your eyes, ears, heart and mind to see where you can help introduce them. We are beyond blessed with all of the treasures that we have. But most importantly, we are beyond blessed for our greatest treasure of all: Jesus Christ. 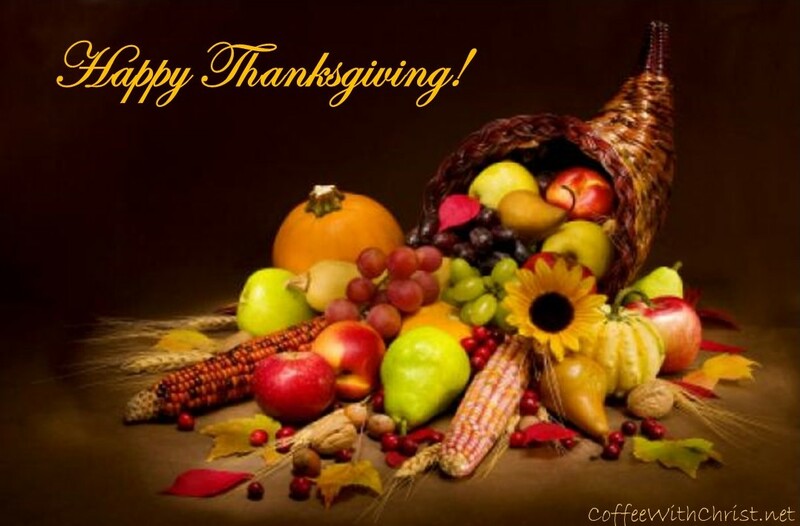 I pray you have a wonderful, filling, blessed Thanksgiving. It’s been a week since our ballots were cast. It’s been a long, exhausting election cycle. We’re all tired, of it all. Keep that in mind in the next few months through this transition and the current turmoil. With all of this unrest in our Nation, we need to find our peace in Jesus. Regardless of our political views, we need to remember the big picture: people need Jesus. We need to face this disunity in the United States with the only thing that’s important: showing the love of Christ and getting them to the Cross. 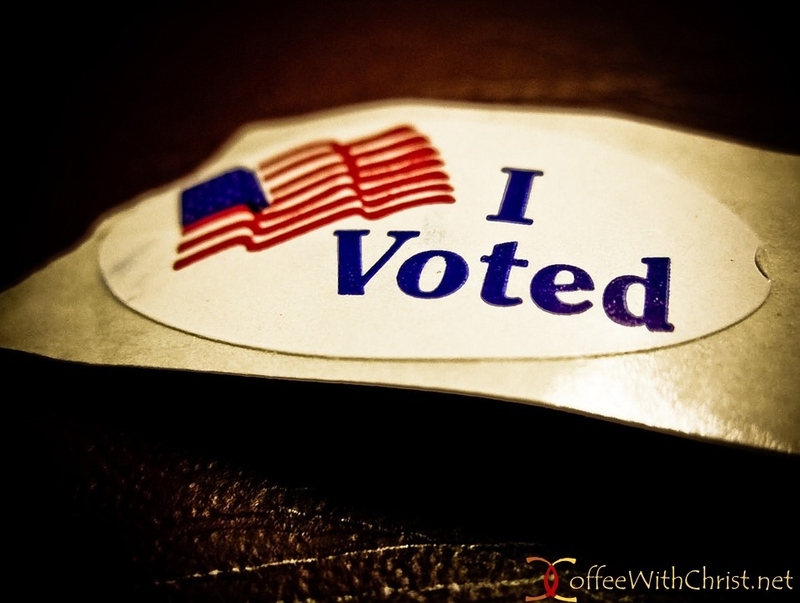 Your political views mean nothing—you represent Who Jesus Christ is to the world, unashamed. That is your sole (soul) mission. What is coming for eternity is more important than any ruler in the next four years. I dare say that the extremists on either side of the political aisle don’t represent the majority of the actual people that voted that way. But the one thing they all have in common is that they are in desperate need of Jesus. Jesus flipped tables (Matthew 21:12-13, Mark 11:15-18) because of the disrespect of the Temple; He didn’t flip people. He loved people. We’re missing the whole point. Remember, we are blessed to live in the United States of America. Many people across the world would love to have a choice in their leaders. They would love to be able to speak out and assemble against their leaders. They would love to be able to speak out about their beliefs in Christ. We take our freedoms for granted. We ARE ‘One Nation under God, indivisible…’ we best remember that united we stand, or divided we will fall. When you look back on our country’s history, we have been through 57 (I think I counted that right) Presidential elections, and we’ve made it through each of them. We will make it through this one as well. We’ve made it through war, disease, civil liberties and social justice; we will get through this period, too. Your neighbor, coworker, friend, family member that voted differently from you is also a child of God, your brother/sister in Christ; and above all else, that is more important than the ballot they cast. 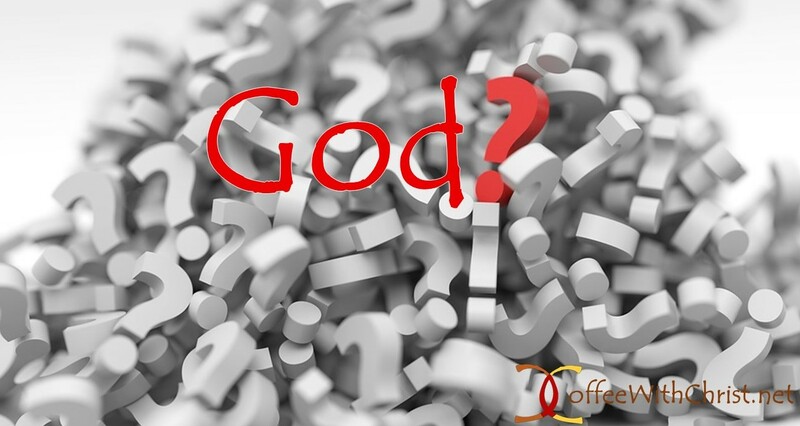 Is it wrong to question God when bad things happen? It’s so easy to sit on our self-built pedestal and shake our fist at God when these things happen to us, or others around us. We ask Him “Why me/them?”, “How could you allow this to happen?”, “If you’re so loving, why didn’t you stop this pain?” In His Omniscience (Psalm 147:5, 1 John 3:20) He knew what would happen; in His Omnipotence (Job 9:4-10, Isaiah 40:28), He could’ve done something about it. But He chooses to use these times to grow us, and draw us closer to Him. (James 1:2-4, Romans 5:3-5, 1 Peter 5:10-11, James 1:12, 2 Corinthians 12:9-10, 1 Peter 1:6-7). Character and strength have never formed without struggle, risk, sacrifice, and even loss and suffering. Our weakness and desperation have caused many of us to abandon ourselves, in search of the only One who can save us. When we question God’s actions, and why He has allowed things to occur as they have in our lives, it is understood and even appreciated by Jesus, who has been there as well. He is hurting with you—but when we accuse God in bitterness and unbelief, when we hold Him accountable, and question His very Character, we have now crossed the line, in our own self-righteousness and sin. For reasons we may or may not understand on this earth, He has chosen a path that is exactly what we need.